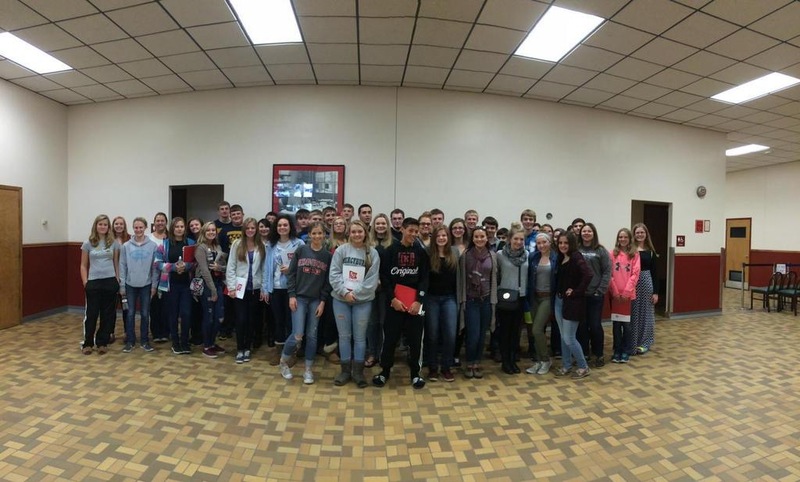 Posted on December 14, 2015 by staceyanderton1	in Features and tagged #JuniorHigh, #STEM. Science, Technology, Engineering, and Mathematics (STEM) class seems to really be a big hit among the junior high students. Introduced to seventh grade students at the start of last year, STEM has progressed even further since then. The school now offers an elective STEM class for eighth grade Algebra 1 students. Lego building, boats, and origami are projects the eighth grade has worked on. The students really seem to enjoy it. “I think it’s a good learning experience, and the projects are fun!” said Kaylee Mulligan. “I learned to love STEM because I wasn’t good with my hands when I started in seventh grade, and I figured it would be a challenge, but it was worth a try,” said Ashley Wenzel. The seventh graders also have a STEM class as a rotation. Students get to use their creativity to build race cars and paddle boats. These projects allow students to use limited materials and their imaginations to create something amazing. The most beloved project by the seventh grade students were the paddle boats. “I think I liked the paddle boats because I enjoyed using the foam cutters,” said Grace Diley. “I enjoyed making the boat and using the cool tools,” said Jaden Reagle. From a student’s perspective, it seems STEM can really help open students’ minds to other career choices. They can work with computers, aerospace engineering, and so much more. This class will prove to be very beneficial to its students’ decisions as they search for a successful career in the future. Posted on September 24, 2015 by staceyanderton1	in News and tagged #SeventhGrade, #STEM. Seventh grader Isaac Levis bends a tree so Jane Hetrick can collect leaves for the STEM project. 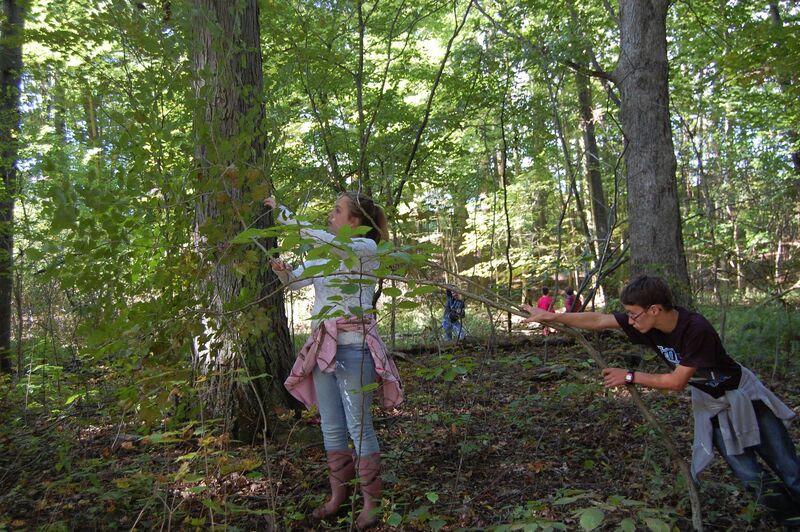 With the weather quickly changing and Autumn approaching, the seventh grade went to the woods behind the football field on Sept. 19 to collect leaves for their classification projects. The seventh graders spent the morning with the objective of finding fifteen unique leaves. “It is good we are outside, but I can’t reach the leaves,” said Jaden Reagle. The trees had to be “chest high” (4.5 feet) and 14 centimeters in diameter. As the leaves were collected, the students wrapped them in newspaper and pressed them between their textbooks for preservation; however, some students felt that the lack of tree variation made for difficulties in creating a diverse collection. “A lot of the trees are the same and they are high,” said Landis Crawford. This is the first phase of the ongoing classification project, which will continue in mid-October as they progress into the scientific inquiry and classification units. Overall, the outdoor adventure of the classification project was well received. “The outside is a lot of fun, Jack, but sometimes you walk into spider webs,” said Jane Hetrick.